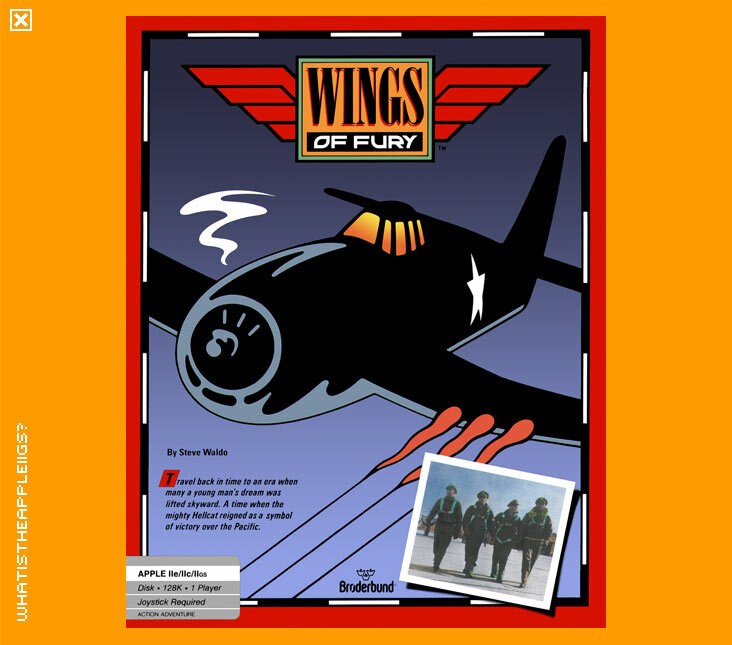 The brilliant World War II dogfighting and bombing run action game available on 3.5" disk. It's currently not known if this was an official Broderbund release or a hack made to convert the double sided 5.25" disk to 3.5" disk. Not tested for IIc+ compatibility, but doesn't include any apparent IIGS stuff (like crack screen or menu), but it should work on any 8-bit equipped with a 3.5" drive.